On Tuesday, February 5th, US president Donald Trump announced his intentions to hold a second nuclear summit with North Korea’s leader, Kim Jong Un, in Vietnam on February 27-28. The US president formally confirmed the details of this exciting news during his State of the Union address from the House of Representatives on Tuesday. This meeting would be the second meeting within the past year with the first summit meeting taking place in Singapore in June 2018 whereby a framework for future negotiations and moves towards “complete denuclearisation” took place. Mr Trump hopes that this meeting will continue the diplomatic discussions that started in their first encounter in Singapore last June. North Korea has taken a step in the right direction and since have refrained from the testing of nuclear ballistics and missiles but still have work to do in agreeing to actually giving up its nuclear atomic arsenal. “As part of a bold new diplomacy, we continue our historic push for peace on the Korean Peninsula,” Trump said in his State of Union address. Despite talks and discussion moving well, it is still widely believed that the chances that North Korea will give up its entire nuclear arsenal is very slim. Through initial talks from the first meeting, it seems that Mr Trump and Mr Kim have begun to build a good relationship with each other. “I like him. I get along with him great. We have a fantastic chemistry. Now that doesn’t mean we’re going to make a deal. But certainly I think we have a very good chance of making a deal,” Mr. Trump said about the North Korean leader after their first summit meeting. Vietnam serves as a mutual location, as both Mr. Trump and Mr. Kim are familiar with the country and have good relation with their leaders. As a communist state, Vietnam boasts tight political control as well as high level security as shown by its hosting of Asia-Pacific Economic Cooperation meeting which Mr. Trump had attended. Moreover, Vietnam represents an example of how a former communist foe country can turn into a useful trade partner and ally. 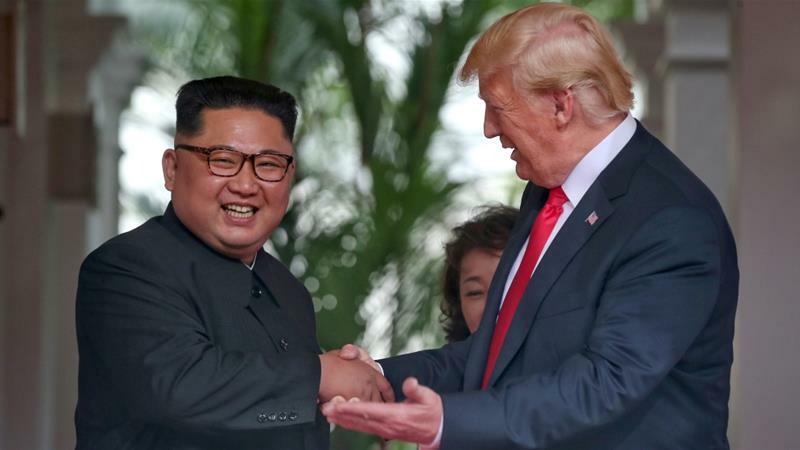 As a step in the right direction, North Korea has since released three American prisoners and sent back what is believed to be around 55 American soldiers who died in the Korean war. This is a great move towards a more ‘nuclear and missile free’ future for North Korea and a big step in discussion for the US and the world. Hillary Clinton and The New Emails: What Exactly is Going on?